Artist's recreation of Hattusha, during circa 1300 BC. 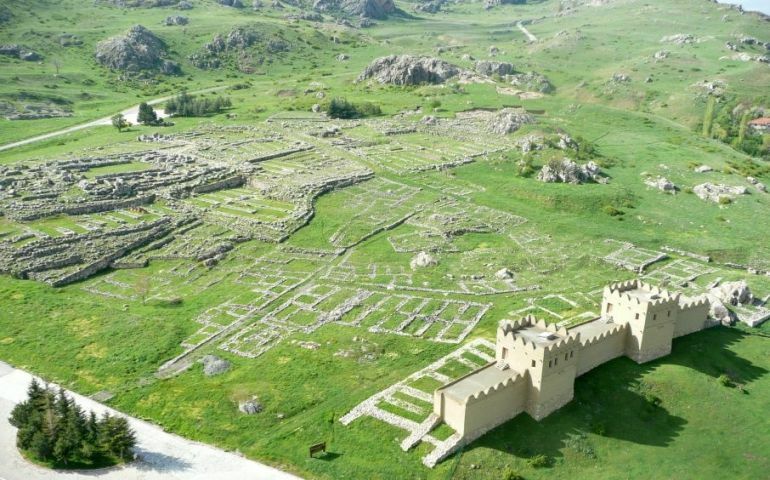 Hattusha (or Halys in Greek) was the capital of the Hittite Empire during the epoch of late Bronze Age in the Near-East, with its current ruins being located near modern Boğazkale, Turkey. Situated in strategic location that favored local economy, the settlement was in proximity to widespread agricultural lands and woods, thus having supply chains for both food and timber. Taking such localized historical aspects into consideration, Turkish officials are about to go ahead with their Hittite Village Project (patronized by Boğazkale District Governor’s office). 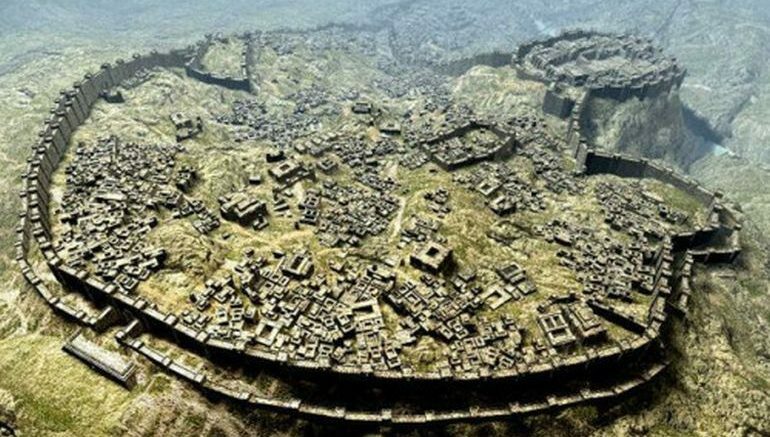 Their goal is to reconstruct an entire Hittite village spread across an area of 7,000 sq m (or around 75,000 sq ft), which makes it substantially larger than an American football field. The archaeological site of Hattusha, former capital of the Hittite Empire, is notable for its urban organization, the types of construction that have been preserved (temples, royal residences, fortifications), the rich ornamentation of the Lions’ Gate and the Royal Gate, and the ensemble of rock art at Yazilikaya. The city enjoyed considerable influence in Anatolia and northern Syria in the 2nd millennium BC. Because the ancient city is 3,500 years old, our artifacts are basic ones. We designed a big Hittite village to be built with Hittite architecture. Their daily life will be revived in the village and tourists will be able to spend the night there. Just like in the Hittites, we will build stone and adobe structures with a lion’s gate. It will have a backyard, shops, king’s room, prison, bakeshop and iron work shop. Our goal is to show visitors how Hittite people lived 3,500 years ago. With the promotional materials, the project cost will be over 1 million liras. This will be the first of its kind in Turkey. 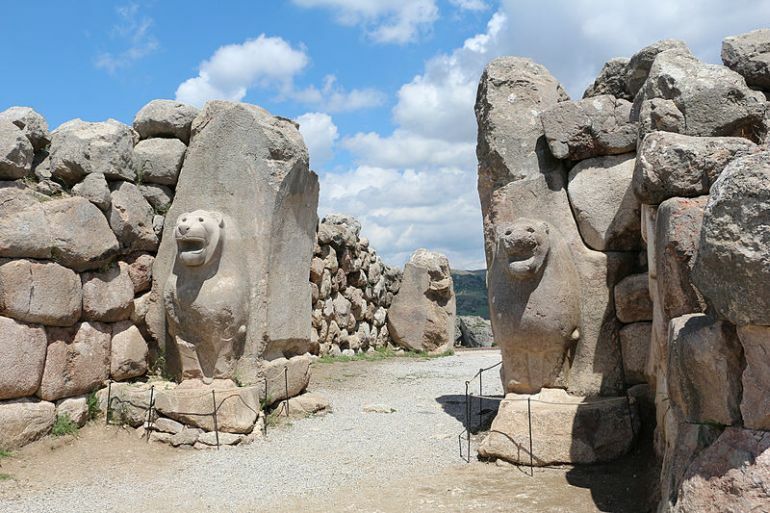 For the first time, a Hittite village will be built with Hittite architecture. Among our other projects, this is the most prestigious one.